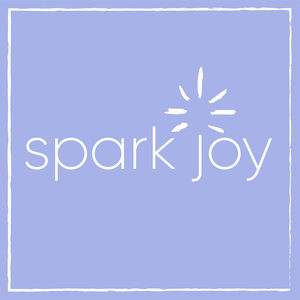 We found 10 episodes of Spark Joy with the tag “konmari method”. Join us as we speak with Sarah Williams of Tough Girl Challenges about her journey, her work and get her take on how to move toward being the person you want to be. Dr. Melva Green, author, psychiatrist, and spiritual healer as seen on A&E's hit show “Hoarders” discusses the importance of making breathing room as you declutter mentally, emotionally, and spiritually. Lloyd Alter, architect and design editor of Tree Hugger magazine, helps us understand our changing relationship with our possessions and how the upcoming generation will view design and functionality. Tess Wicks, personal finance coach and educator, breaks down the journey to financial independence into key actions and makes the connection between our priorities, the things we acquire, and our life vision.